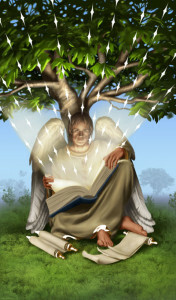 Do you have an almost unquenchable thirst for knowledge, particularly relating to your true self and your soul purpose? When we have been awakened, and we are enthusiastically soaking up all and everything we can find about the different aspects of spirituality, particularly our own. Our personal vibration (whether we can feel this difference or not) is changing. We may find ourselves with a powerfully strong desire to be alone, or we may be drawn to mix with other like minded people at workshops and groups, such as MBS events, who are also aware of or seeking their spiritual nature. This is the point when we pick up other people’s vibrations, we feel their energy and sometimes it feels great, but other times not so good. You might be feeling that you no longer want to engage with people who are loud or aggressive, because you can feel their energy as very prickly, and different to your own. You may even find them toxic, their attitudes or opinions so prejudiced or negative that they are offensive to you. You might feel guilty, but try not to. You will find that you have to make a decision to keep away from some of the more negative and even harmful relationships that you tolerated in the past. You’ll be more selective of which television channels and films you choose to watch, and the conversations you have. You are filling your life with positive energy, more fulfilling interests, and you simply want to satisfy the craving for more of the ‘good’ stuff. It is at this wonderful point of so many coincidental ‘aha’ moments and the realisation that we are finally starting to ‘see the Light’ that we encounter the influence of the majestic Archangel Jophiel. It is this Archangel who can enhance our creativity, sharpen our mind, and lead us rapidly towards understanding the more magical and mysterious side of spirituality. Very often when there is a yearning towards learning more about what we hear banded about as ascension or enlightenment we are being guided by this benevolent, powerful Being. The brilliance and brightness of the energy of Archangel Jophiel, is a positive, powerful energy which is all about enhancing, raising your vibration and being established on the road of illumination, ascension, enlightenment. Not just about gaining knowledge, but about absorbing the light, the Light of the God Source. This is the meaning of en-Light -en-ment, we take it in, it becomes part of our whole being. When we close our eyes and engage with the Archangel Jophiel by calling his name (three times) we may be able to physically feel a brilliance, like the brightness of the sun. It particularly shines around this angel. Personally, I love to connect with this being, and although I feel the presence I see no face, no form, just brilliant light. When I was channelling the meditation for connecting to Archangel Jophiel I was surrounded in the most powerful brilliant light, the whole meditation came through as a ‘brilliance’ because I was tapping in to truly divine energy. This divine creative energy is available to all those who seek it, and you are invited to connect and tap into it when ever you need to. Jophiel means the ‘Beauty of God’ (sometimes called Iofiel, Zophiel, or Jofiel) and is particularly helpful to those of us in the creative pursuits of teaching and writing. According to the Seven Rays teachings found in Theosophy (The Study of Divine Wisdom ), Jophiel works on the second light ray of Love/Wisdom represented by the colour of golden sunshine yellow. In daily life we can work with the energy of Archangel Jophiel to bring wisdom, illumination, clarity, inspiration, knowledge, intelligence and insight; and also when working through our shadows, to overcome ignorance, pride, mental confusion, and narrow-mindedness. Call on this energy if your creativity is blocked. For guidance in making wise decisions. To bring lightness into your thoughts when you are troubled by negativity and ‘heaviness’. To speak wisely and give clarity when asked. Enjoy the connection, and be brilliant! !